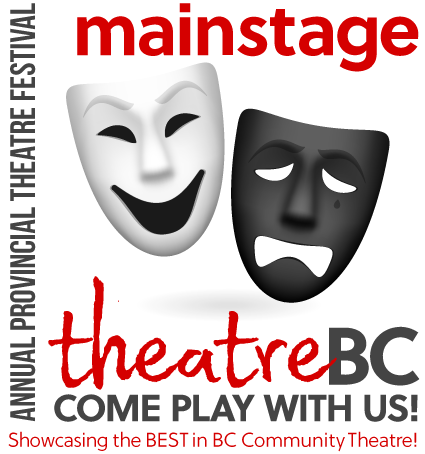 Mainstage Performances: The invigorating competition of plays selected from the Zone Festivals held in the ten TBC Zones around the province is the centrepiece of MAINSTAGE. Each evening performance is followed by a brief public adjudication by the professional festival adjudicator. The following morning, each Mainstage presentation is discussed in-depth by cast, crew, adjudicator and registrants in a “Coffee Critique.” Open to registrants and public. “Backstage At Mainstage” Courses: A series of performing arts workshops, instructed by professionals, are scheduled throughout the week (daytime). Running in 3 – 6 hour blocks, these sessions may offer more hands-on participation to people wishing to learn more about many aspects of theatre. Topics may include acting, direction, playwriting, stage managing, musical theatre, acting for the camera, Improv, and Technical, Set and/or Costume Design. Participation is open to registrants and the public by pre-registration. A very reasonable fee is charged. Green Room Socials: Following each evening of theatre on the Mainstage, audience members, cast & crew, staff and volunteers are invited to enjoy good company and a relaxing atmosphere to unwind, share friendships and ideas, and lay back after the excitement of the day. A theme for each evening’s Green Room may be incorporated. Traditional for the final Friday Night Green Room is the appearance of the “Grand Poobah,” who oversees the swearing of allegiance to the “Mainstage Oath” by all Festival “Virgins.” The Green Rooms are open to everyone, cover charge.